"While teaching English in Asia the past several years, I've been lucky to exchange some delicious and authentic recipes with local people. 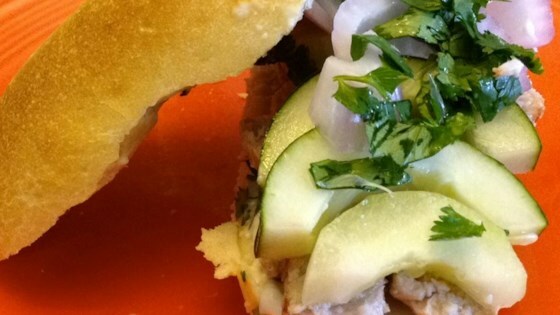 This Vietnamese banh mi sandwich is awesome, and it is a nice break from common sandwiches. The garlic chili sauce is common in Asian sections of markets but Indonesian sambal or Korean chili paste can also be substituted. Beer or red wine is the beverage of choice for this authentic recipe of French-influenced Vietnamese cuisine." See how to make an authentic Vietnamese pork sandwich.